Chicago weather has, yet again, reminded us that we are at the mercy of Mother Nature. After a lovely day on Monday of 50, dear old Ma Nature dropped the temperature by 30 degrees the next day and decided it might be fun to snow another couple inches. Then the temperature stayed cold until a nicer day on Friday (about 40) followed by another sunny and 40ish day on Saturday…..and then Saturday night. MORE SNOW!! I’m losing my mind here. It’s mid-March. I just booked a flight to Cabo in a few weeks. I need something to ease my mind during this hell of a winter. You know what else helps me keep all my hair on my head and not in my fists? Cooking. It is absolutely my go to when things are emotional or stressed in any capacity. Actually, cooking is a solution to life itself. Plain and simple. Happy? Celebrate by cooking. Sad? Cheer yourself up with some comfort food. Cold? Eat something warm. Hot? Drink something cold. Losing your mind because Chicago has been so damn cold and there is little relief in sight? 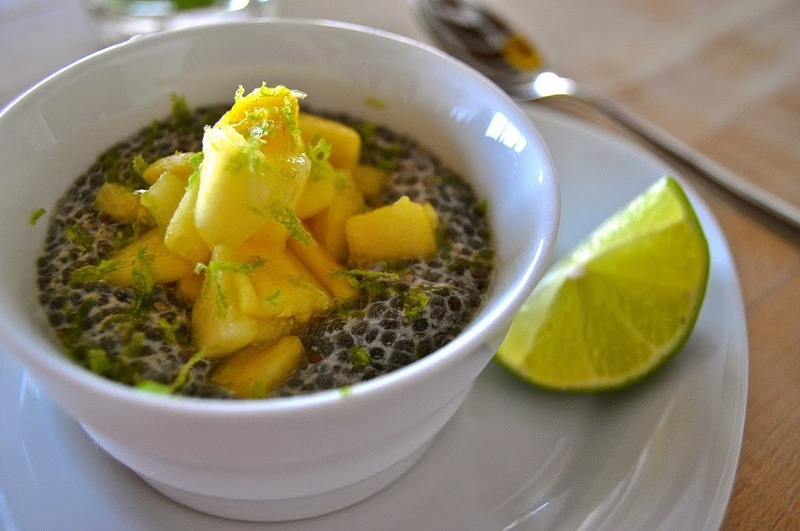 Make tropical Chia Pudding. 1. 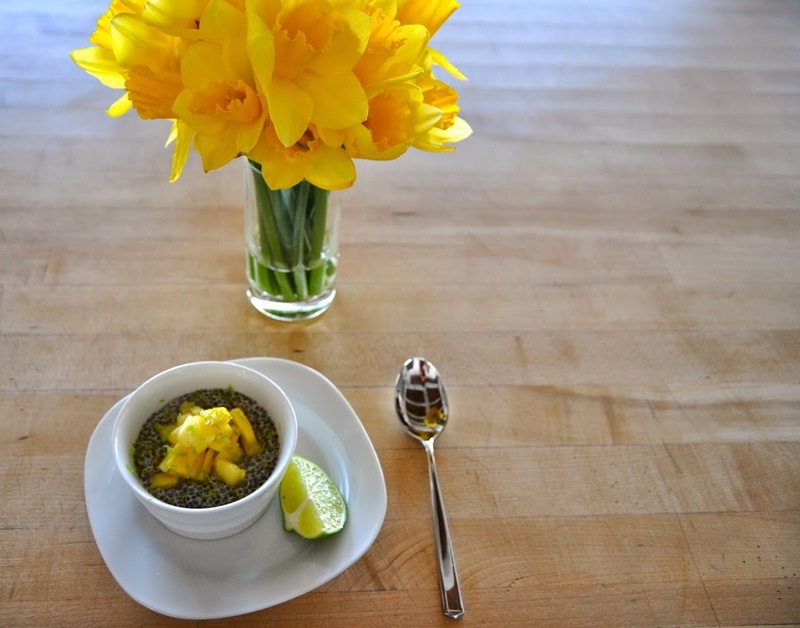 Combine almond milk, chia seeds and vanilla in a small glass bowl. Cover with lid or plastic wrap and place in the refrigerator overnight. 2. When ready to serve, spoon into two bowls. Top each with half of the pineapple, half of the zest and half of the lime juice. Gobble up!